We're only a month away from the premiere of season six and the end of my session of summer hiatus lists! Can you believe it? I definitely cannot. It seems just yesterday I was thinking up the best manly tears! But moving on. On the docket this week we've got the top 5 episodes from season four, which was one of the strongest seasons of the show, in my humble little opinion. We got a serious mix up to the mythology and things really kicked into high gear. So let's take a look! And, my usual reminder, the title for each one is a link to a clip of one of my personal favorite scenes from each episode. Seriously, I love this episode. It's one I can watch over and over again. While the main thrust of the story has to do with the boys figuring out how a mysterious wishing well is granting wishes that go terribly awry, there are also quiet little bits of scenes dealing with Dean's arc as well, played in an understated way that I really liked. Particularly the scene where Sam wakes Dean up from a nightmare and notes that he's noticed Dean's behavior and knows something is up. Aww. But anyway, anyone who knows me knows that my absolute favorite part of the wacky hijinks in this episode belongs to the whole sequence about the teddy bear. So insane, and so hilarious. "Why am I here?" "For tea parties!" "Tea parties. Is that all there IS?!" And, also great: "Kneel before Todd!" This episode was filled with awesome stuff. We got to meet young Mary and John, and also got to know a whole lot more about Mary Campbell's side of the family. For instance, she's from a family of hunters! What! Who saw that coming? You could argue it is on the too coincidental side, but when we later learn it seems the Winchester brothers were involved in lots of fate and destiny whatevers, it makes more sense. Plus Sam Campbell was played by Mitch Pileggi, of The X-Files fame, so you know it was going to be good. The most heartbreaking part of the whole episode, for me, was when Dean asked Mary to remember to not walk into her child's nursery in 1983. Aww, so sad. Because it all happened anyway, and it may actually have been Dean's fault that ole Yellow Eyes caught his mom's scent in the first place. D'oh! I used to actually like this episode a lot more than I do now. I think maybe it's because this was the first time that the show delved into self-referential territory, and while it worked well here, I think they overused it later on. But here! Here is when the brothers find out that there is a whole series of books out there called Supernatural that have basically been chronicling many of their adventures. They track down the guy who's been writing them, the lovably scruffy Chuck Shurley, and soon find out he's not some kind of psychic god, he's a prophet! After that, there's all this stuff about Lilith that I could sort of care less about, but the first half of the episode is gold. Oh man. Such an intense, intense episode this was. As well as a bit of a game changer, in that there were many revelations brought forth we had hitherto maybe suspected, or had not even a clue about. Sam's been drinking demon blood! Dean was the one who broke the first seal to release Lucifer when he gave in and started torturing! 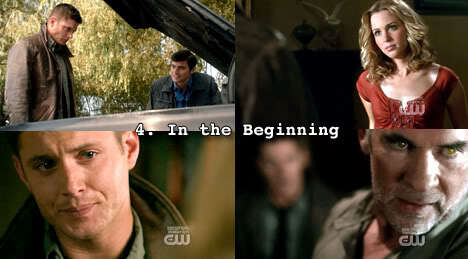 And Castiel also tells him that the man who starts it is the one who must stop it! Plus, a couple major players get killed - Uriel and Alastair - and Dean is nearly killed himself (again). The emotional torture that Dean goes through is something I wish they would've touched more on, because he seems to be rather okay after the next episode, but at least in this one it was front and center. The opening of this episode is one of the best in the series to date, I think we can all agree. Dean is brought back to life and must claw his way out of his grave, then find his way to Bobby's and eventually back to Sam. The opening is mostly dialogue free and just so full of awesome. 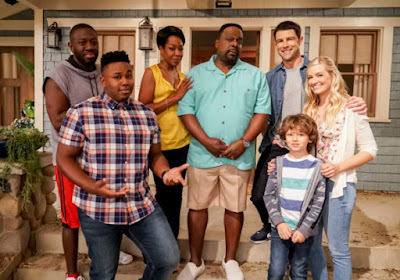 There is also a ton of stuff revealed by episode's end. First of all, Sam's a lying liar, because although he tells Dean he hasn't been using his powers, we soon find out he has the power hand of demon ipecac working. We also got to meet psychic Pamela, who unfortunately lost her eyes when she got a little too close to finding out just who, or what, brought Dean back from the most unholy of places. And just who or what did bring him back? Why, an angel! What! Angels! Though some people have hated where the angelic introduction took the show, it really amped things up. And it gave us Misha Collins, so can you really complain about that? Next week I will be focusing on the 5 worst episodes, because no show is without its clunkers, let's be honest. Awesome list. 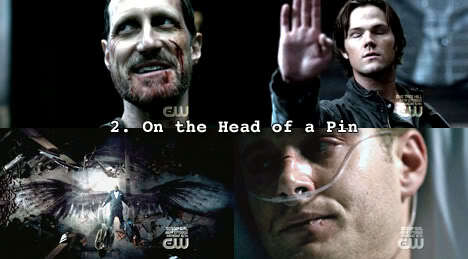 On the Head of a Pin is my absolute favorite episode in the entire series. 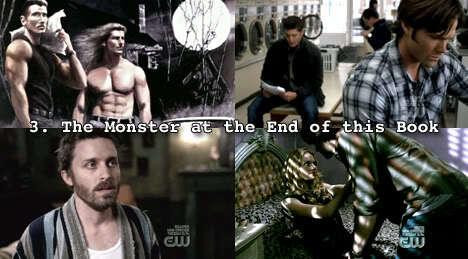 I adored the awesome characterization especially of Dean, but also of Sam and Castiel. Plus, Alistair was my favorite villain, and he was especially awesome here. All of these are awesome episodes, though. I thinks season 4 is probably my favorite season. Season 4 is a great season... I think season 2 is my favorite, but 4 is right behind it. 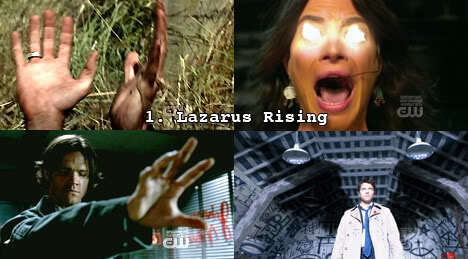 Lazarus Rising is one eps that I could watch over and over and over and over again. The scene where Dean woke up in the coffin is amazing; I don't know how Jensen made his voice so raspy and dry like that. And him sharing that the "dirt" was actually crushed Oreos sold for cheesecake base and some got into his ear would never be not funny. That opening is so amazing, by far one of the best, if not the best, in the series. At least if he got the "dirt" in his mouth, it didn't taste like dirt! No When The Levee Breaks? That was one of the best dramatic episodes of S4! I wasn't a huge fan of When The Levee Breaks, personally. I liked it, but didn't love it.